Delightful retro-styled skittle set, made of varnished natural wood. 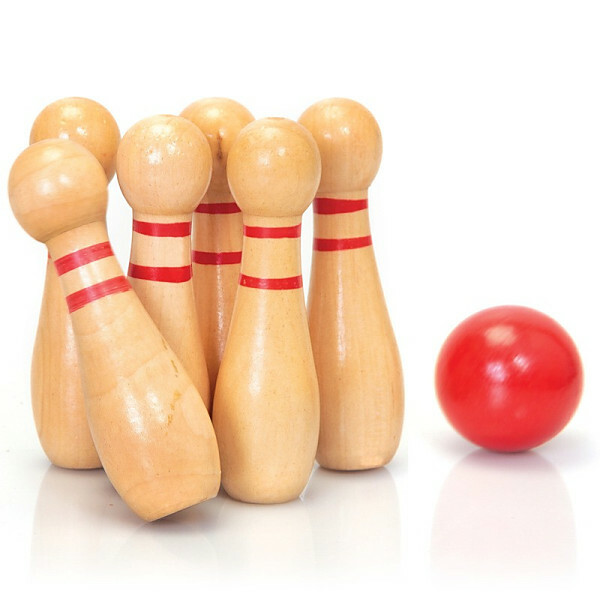 This skittle set consists of 6 pins (4 inches, 10cm in height, and one red painted ball (2inch/5cm diameter). Suitable for use indoors on a table or on the floor. 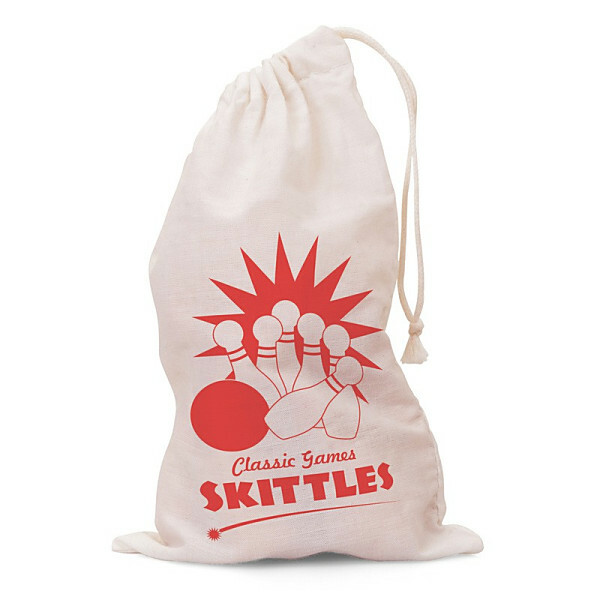 Usefully held together in a drawstring bag.